Talented Graphic Design. Due Diligence. Dedicated Perfection. We take pride in challenging ourselves, pushing the limits of design for quick turnkey solutions. Our crew is composed of skilled and motivated individuals, dedicated to achievement and perfection. 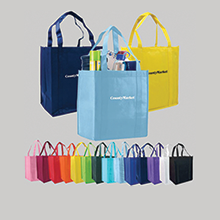 Custom Printing and Promotional Manufacturing. There is no project too small or large. Proof of our success lies in the fact that through the years, we've developed many ongoing business relationships with quality companies like yours. Our commitment to providing you with quality printing and promotional goods is reinforced by our vigorous Quality Control program that checks all jobs at every stage. iServices for the New Millennium. We have on staff talented designers to bring your business to the forefront with email marketing campaigns to promote your business. We can also help you with your Social Media identity and advertising. I appreciate your opinions and input! It's what makes JPT a great choice for any of my needs! I trust you all to do a great job and not lead me the wrong way when I get too creative with things! Love ya'll!! Thank you for being so awesome! I love doing business with you, you are absolutely the best! :) So excited to get our new keychains! We got our pens today (so did meadowbrook!) and I showed them to Alan Lindy and he LOVED them. He actually used the word "wonderful!" Hooray! :) I love your customer service. That is my biggest thing - if you have good customer service, I'll be with you for life! You guys are awesome, all of you! JPT is my best friend in business. I could not do what I do without their creativity, dedication and focus on customer satisfaction. Best ever for quick design and printing needs and so, so much more. If you are looking for a new printer that will be accommodating, flexible and always there for you, call JPT! I have worked with JPT graphics were over a year and their services are superior compared to their competitors. We respond extremly quickly and their prices are very affordable. I would highly recommened them anytime.